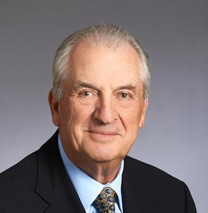 Chairman emeritus and Director, Bombardier Inc.
Mr. Beaudoin is Chair of the board of directors of the Company since December 2003. 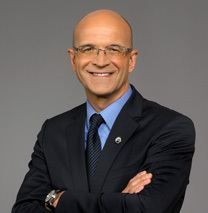 Mr. Beaudoin, who was the Chief Executive Officer and Chairman of Bombardier Inc., handed over his responsibilities as Chief Executive Officer in June 2008, and remained on the Board of Directors of Bombardier Inc. until May 2018. He joined Bombardier Inc. in 1963 as Comptroller. From 2002 to 2012, he has been a member of the International Business Council of the World Economic Forum based in Geneva, Switzerland. Since October 2010, he has been President of FIRST Robotics Quebec. Mr. Beaudoin is also President of Beaudier Inc., one of the Principal Shareholders. 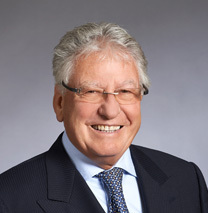 Mr. Beaudoin holds honorary doctorates from various universities and he received many awards and honours as a business leader, including Canada's Outstanding CEO of the Year by the Financial Post. He is a Chartered Account and a Fellow of the Ordre des comptables. 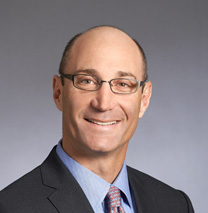 Mr. Bekenstein is a Managing Director at Bain Capital. 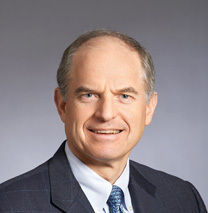 Prior to joining Bain Capital in 1984, he spent several years at Bain & Company, Inc., where he was involved with companies in a variety of industries. Mr. Bekenstein is a member of the Board of Directors, the Chair of the Human Resources and Compensation Committee and a member of the Nominating and Governance Committee of Dollarama Inc. 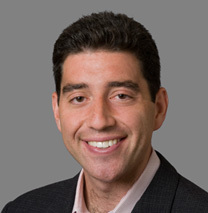 He also serves as a director of several other corporations, including: Bright Horizons Family Solutions Inc. for which he is a member of the Compensation Committee, and The Michaels Companies, Inc. Mr. Bekenstein received a Bachelor of Arts from Yale University and a Master of Business Administration (MBA) from Harvard Business School. Mr. Boisjoli is President and Chief Executive Officer of BRP since December 2003, when BRP became a standalone company. 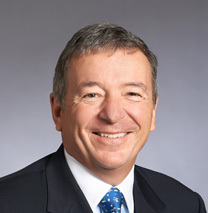 In October 1998, Mr. Boisjoli was named President of the Snowmobile and Watercraft division, the largest division of Bombardier Recreational Products Inc. Mr. Boisjoli led the company’s IPO in 2013 and under his leadership, BRP received the IPO of the Year award in 2013 from the Canadian Dealmakers. Mr. Boisjoli joined the Company in 1989, after eight years in the pharmaceutical and road safety equipment industries. Mr. Boisjoli holds a Bachelor of Mechanical Engineering from the Université de Sherbrooke. In 2014, he was the recipient of the Ernst & Young Entrepreneur of the Year award – Québec region. In December 2017, he was named CEO of the Year" by Les Affaires, a Canadian business newspaper. J. R. André Bombardier, Vice-Chairman of Bombardier Inc.
Mr. Bombardier is the Vice Chairman of Bombardier Inc., a position he has held since 1978. 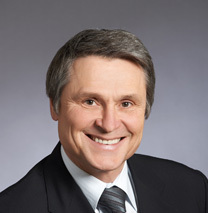 He joined Bombardier Inc. in 1969 as Vice President, Industrial Division, and then successively held the positions of Vice President, Research and Development, Ski-Doo Division; Assistant to the President in charge of new products, Vice President of Marketing, Marine Products Division, and President of the Roski Ltd. subsidiary, before taking the position he now holds. Mr. Bombardier is also President of 4338618, a holder of Multiple Voting Share. Mr. Bombardier holds a Bachelor of Arts from the Séminaire de Sherbrooke as well as a Bachelor of Commerce with a major in Finance from the Université de Sherbrooke. He is also a graduate of the Harvard International Senior Managers Program. He is the brother-in-law of Chairman Laurent Beaudoin. Mr. Cary served as the President and Chief Operating Officer of GE Capital, the financial services unit of the General Electric Company, from November 2008 to January 2015 and as a Senior Vice President of General Electric from November 2006 to January 2015. He served as the President of GE Money (Global), a subsidiary of GE Capital, from February 2008 until his promotion to President and Chief Operating Officer of GE Capital in November 2008. Mr. Cary joined General Electric in 1986 as a member of the Financial Management Program and served in a variety of financial and operating positions around the world. He also served as a member of General Electric’s Corporate Executive Council and was a member of the GE Capital board of directors. He is currently on the board of directors of Rush Enterprises, Inc. and Ally Financial Inc. Chair of the Audit Committee; member of the Human Resources Committee, Nomination and Governance Committee. Mr. Hanley is a corporate director with many years of experience in senior management roles and corporate governance. He sits on the Board of Directors and chairs the Audit Committee of Industrial Alliance Insurance and Financial Services Inc., and of ShawCor Ltd. He also sits on the Board of Directors and the Audit Committee of The Jean Coutu Group (PJC) Inc. In the past, Mr. Hanley held various senior management positions. He was Senior Vice President, Operations and Strategic Initiatives at National Bank of Canada. He also held a number of positions at Alcan Inc., including Executive Vice President and Chief Financial Officer, and President and CEO of the Global Bauxite and Alumina business group. He was also Chief Financial Officer of two Canadian public companies, namely Gaz Métro and St-Laurent Paperboard Inc. Mr. Hanley is a chartered professional accountant and has been a member of the Ordre des comptables professionnels agréés du Québec (CPA) since 1987. 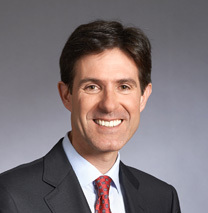 Mr. Nomicos is a senior advisor to Bain Capital where he worked from 1999 to 2016 as a Managing Director of Bain Capital Credit, LP (the credit arm of Bain Capital) and an Operating Partner of Bain Capital where he worked in a variety of investments in the manufacturing and consumer product sectors. 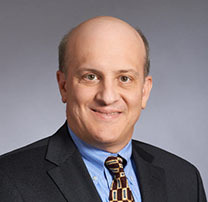 Previously, Mr. Nomicos was a senior corporate development and manufacturing executive at Oak Industries Inc., and he spent several years at Bain & Company, Inc. where he was a manager. He serves as a director and chairs the Human Resources and Compensation Committee of Dollarama Inc. He received a Master of Business Administration (MBA) from Harvard Business School and a Bachelor of Science in Engineering from Princeton University. Louis Laporte, Executive Vice-President of Beaudier Inc.
Mr. Laporte has been the Executive Vice-President of Beaudier Inc., a private holding company and a holder of Multiple Voting Share, since 2004. Mr. Laporte managed for Beaudier Group the acquisition of the recreational products business of Bombardier Inc. in 2003. Prior to 2003, Mr. Laporte was the owner and operator of a number of privately held companies, such as Dudley Inc., one of Canada’s leading lock manufacturers and distributors, and AMT Marine Inc., a manufacturer, subcontractor and supplier of Sea-Doo jet boats, where he contributed to the production and participated in the initial design and engineering of the Sea-Doo jet boat for BRP. Mr. Laporte is and has been a director of several privately-owned companies. Mr. Laporte holds a Bachelor of Accounting Sciences from the Université du Québec à Montréal (UQAM) and a Bachelor of Commerce from McGill University. Mr. Laporte is a Chartered Accountant. Ms. Métayer is a corporate director, a public speaker, an adjunct professor at McGill University and is the president of EM Strategy Inc. (Competia). She joined the international strategic consulting firm McKinsey & Company (Montreal) as a consultant in 1993 and worked in strategic planning, competitive intelligence and business development at CAE from 1996 to 1998. 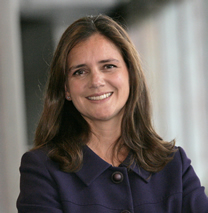 From 1998 to 2004, Ms. Métayer founded, grew and was president of Competia Inc. until the sale of the company in 2004. She is currently an adjunct professor at McGill University, a member of the faculty for the Institute of Canadian Directors and teaches advanced leadership programs, including the “High Performance Boards” program of the IMD Business School (Switzerland), and previously in programs co-led by INSEAD (France) and the Massachusetts Institute of Technology (United States). Ms. Métayer served as an independent director of Ubisoft Entertainment SA and chaired its compensation committee between 2012 and 2016. She was elected as an independent director to the board of directors of Zag Bank in May 2015 and of Blockstream in December 2016. She also joined the advisory board of Ricardo Media in September 2015. Ms. Métayer has served on the boards of the Grands Ballets Canadiens and of World Canada Youth and was the recipient in 2000 of the Arista Sunlife Award for “Entrepreneur of the Year - 2000”. She is a certified director and member of the Institut des Administrateurs Français and is the co-chair of the Québec chapter of Women Corporate Directors. Ms. Métayer was trained in the Netherlands, where she obtained her MBA and Drs. from the University of Nijenrode. Mr. O’Neill is the Executive Chairman of Electronic Cigarettes International Group (ECIG). Prior to that, he was the President and Chief Executive Officer of WinSport Canada, a nonprofit organization that owns and operates the Canada Olympic Park in Calgary (Alberta). In 2005, Mr. O’Neill served as Vice-Chairman, Synergies & Integration of Molson Coors Brewing Company. He was President and Chief Executive Officer of Molson Inc. from 2000 to 2005, prior to its merger with Adolph Coors Company. Before that, he was Executive Vice-President of H.J. 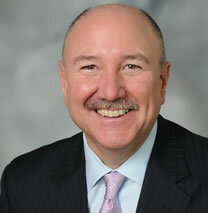 Heinz Company and President and Chief Executive Officer of Star-Kist Foods. He also worked at S.C. Johnson, a consumer products company. He was a director of H.J. Heinz Company from 1998 to 1999. He holds a Bachelor of Arts from Carleton University and a Master of Business Administration (MBA) from Queen’s University. He also attended the Program for Management Development at Harvard Business School. Mr. Philip is the Chief Operating Officer of Partners in Health (a nonprofit health care organization) since January 2013. In addition, he is a Special Partner at Highland Consumer Fund, serving in this role since 2013. He served as Managing General Partner at Highland Consumer Fund since 2006. Prior thereto, Mr. Philip served as President and Chief Executive Officer of Decision Matrix Group, Inc. from May 2004 to November 2005. He was also Senior Vice President of Terra Networks, S.A. from October 2000 to January 2004. In 1995, Mr. Philip joined Lycos, Inc. (an Internet service provider and search company) as one of its founding members. During his time with Lycos, Inc., he held the positions of President, Chief Operating Officer and Chief Financial Officer at different times. Prior to joining Lycos, Inc., Mr. Philip spent a number of years in investment banking. He then spent time as the Vice President of Finance for the Walt Disney Company. He serves as a director of Hasbro Inc. and sits on its Compensation Committee as well as on its Nominating, Governance and Social Responsibility Committee. He also serves as a director of United Continental Holdings, Inc. and sits on its Audit Committee, Public Responsibility Committee, as well as on its Nominating and Governance Committee. Mr. Philip holds a Master of Business Administration from Harvard Business School. Mr. Robbins is a Managing Director at Bain Capital (a private equity fund). Since joining the firm in 2008, he has worked with a number of companies in the energy, technology and consumer sectors. Previously, Mr. Robbins worked at Sentient Jet, LLC, a leading provider of jet membership services, and at the Boston Consulting Group. He currently serves on the Board of Directors of Big Tex Trailers, Inc. and Blackhawk Specialty Tools, LLC. He holds a Master of Business Administration (MBA) (with high distinction) from Harvard Business School, where he was a Baker Scholar, and a Bachelor of Arts in Social Studies from Harvard College. 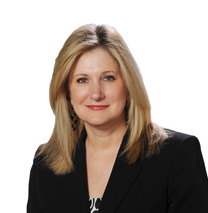 Ms Samardzich held various senior leadership positions across her 26-year career with Ford Motor Company. Before retiring in 2016, she was the Vice-President and Chief Operating Officer of Ford Europe leading a team of over 30,000 employees. In previous years, she served as Vice-President, Product Development; Vice-President, Global Powertrain Engineering and held various roles in powertrain and vehicle engineering within Ford. She has also worked in various engineering roles at Westinghouse Electric Corporation. Ms Samardzich has won many awards including 2016 Automotive News Europe “25 Leading Women in the European Auto Industry” and 2011 Automobilwoche “Top 50 Automotive Women”. She holds a Bachelor and Masters degree in Mechanical Engineering as well as a Masters degree in Engineering Management. She is a non-executive director on the board of several companies including Adient plc, SKF, and Velodyne LiDAR.